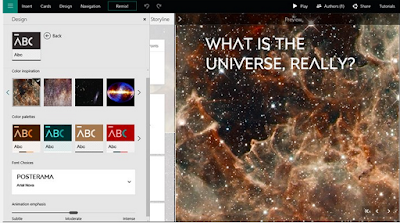 Sway allows you to tell stories using interactive content. You can embed videos, interactive charts and several other multimedia materials to make your story engaging. You can also use Sway’s integrated search functionality to find relevant images, videos, tweets and other content to add to your creation. And when you Sway is ready, you can then easily share it with others who can can access it on the web without signing up or downloading additional software. And you can change privacy settings for more control. 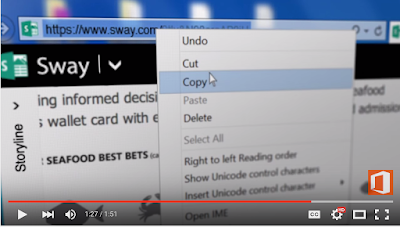 Sway is available on the web, Windows 10, iPhone and iPad.